We don't go about things in a traditional way over here. We decided to skip the save the dates and just send out our wedding invitations earlier than normal. Mostly because we're paying for a lot of the wedding ourselves & it cuts that cost in half & the wedding itself is going to be in another country - we wanted to give our guests as much info up front as possible. 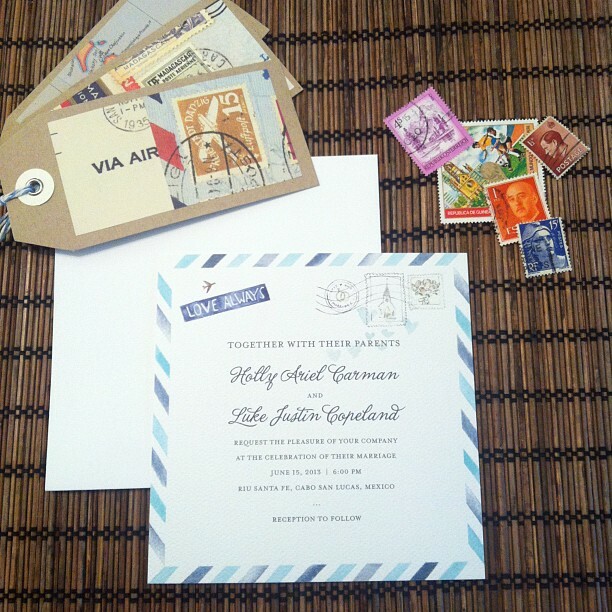 I found these cute airmail invitations from Wedding Paper Divas (cheesy name, but they have some really cute invites). I handcrafted luggage tags with vintage-style paper on one side & travel information on the other. 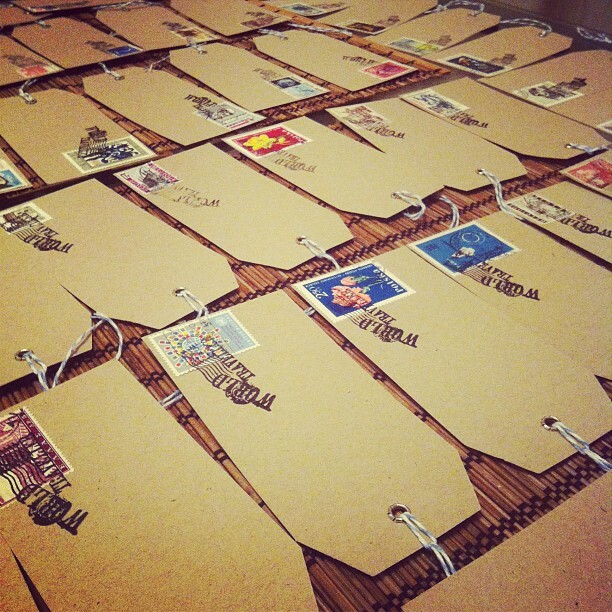 I also purchased bunches of old travel stamps on Etsy & used those on the luggage tags & on the envelopes that we're going to hand deliver to friends & family. When we first decided that we were going to have a destination wedding in Mexico, my first thought was - noooooo cheesy palm trees, flip flops or margaritas on anything! Well, I couldn't be more in love with how everything turned out! They really reflect our style & the theme of our wedding. Those look really good Holly! Love your theme and the feel you are going for! I'm pretty in love with these invitations. These are sooooo cute!!!! Very well done. Classy, but adorable! Oh Holly, I LOVE these! You did an incredible job on the details, I love it! OBSESSED!!! 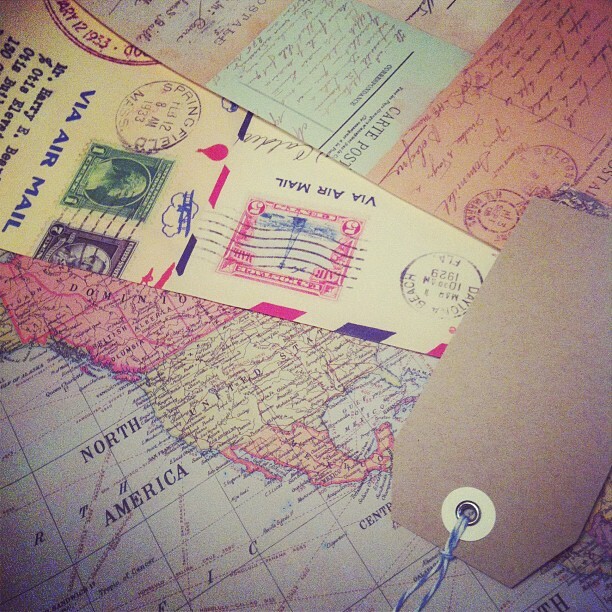 love love the airmail tags! I'm officially obsessed with these! They're so unique and creative and fun, but still super classy.